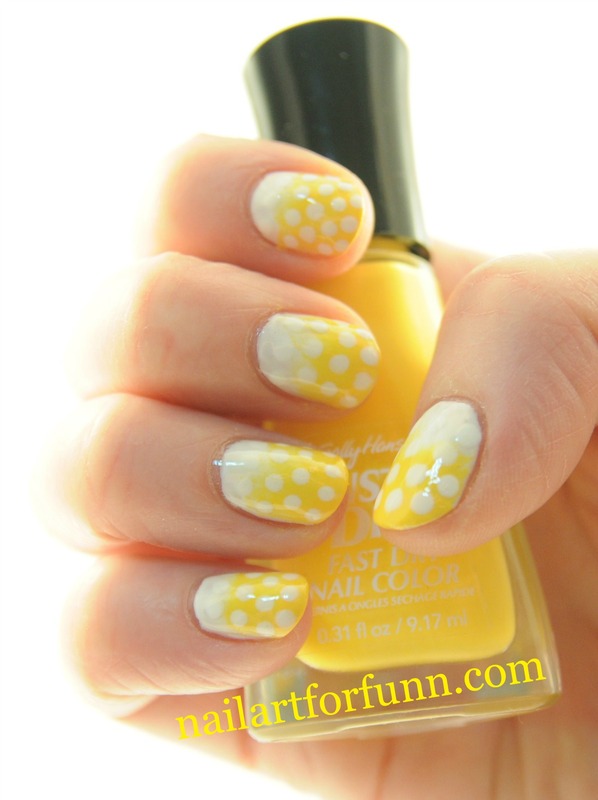 manicure | Nailart for funn! Barry M polish is growing on me. I’m not hugely impressed with how thick it can be, or how streaky. I think it’s definitely better that some Sally Hansen polishes. 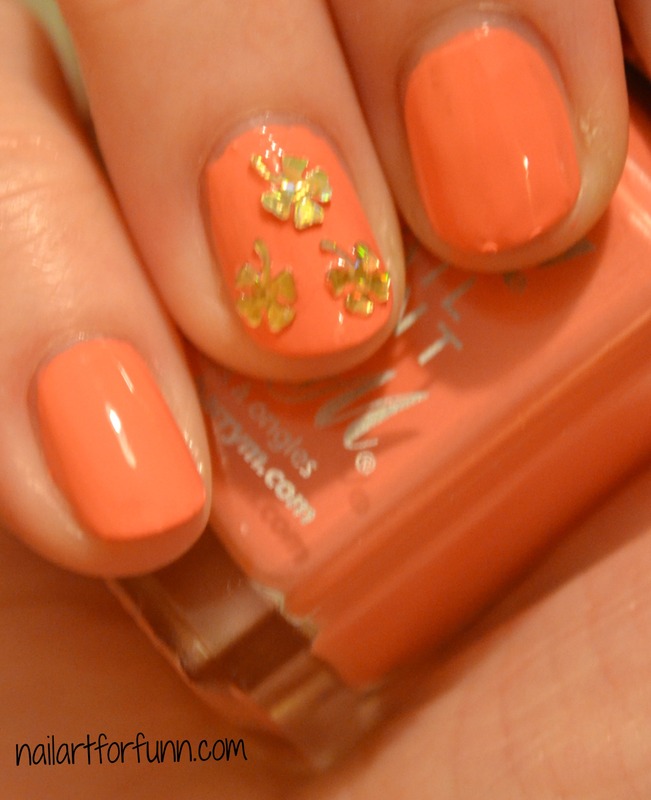 This polish is Papaya, it’s a really creamy coral shade. It took two coats and even after drying it was very easily dented. I really like the softness of the colour, but wish application was easier. I spent St. Patrick’s Day at home sick in bed. 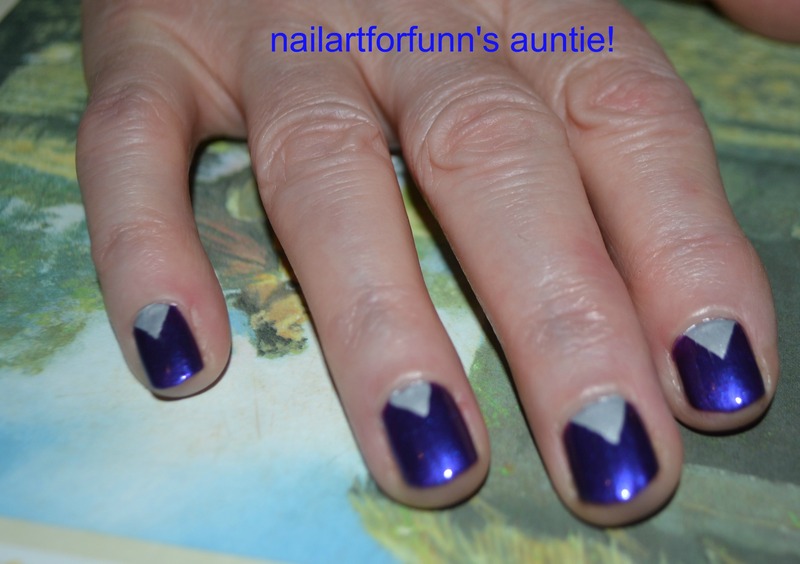 But I was determined to try a themed manicure! 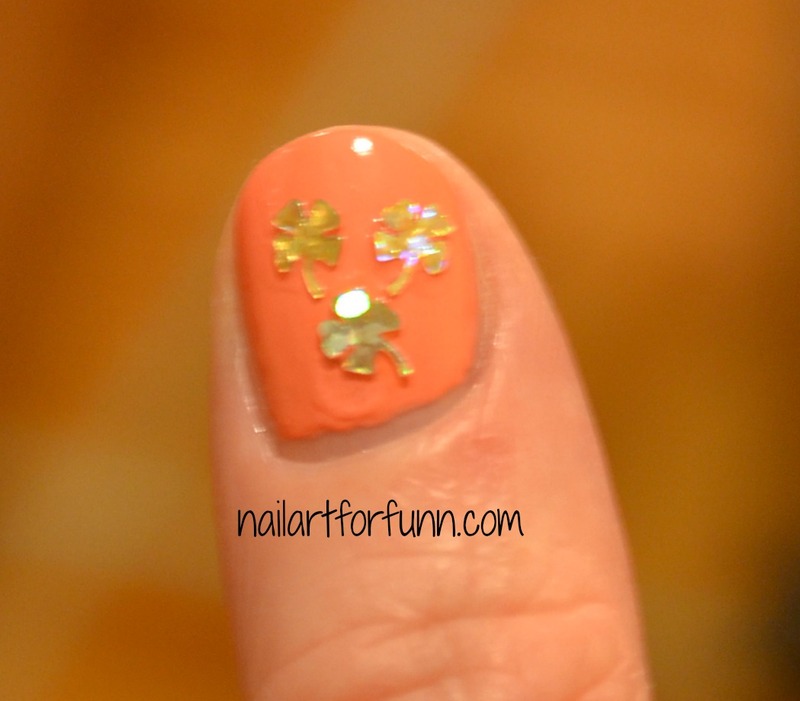 When I felt better I broke out these nail jewels, aren’t they cute?! I bought them with St. Patrick’s Day in mind. Really glad I got to use them. The clovers are so shiny it’s hard to get a good close up focused picture. 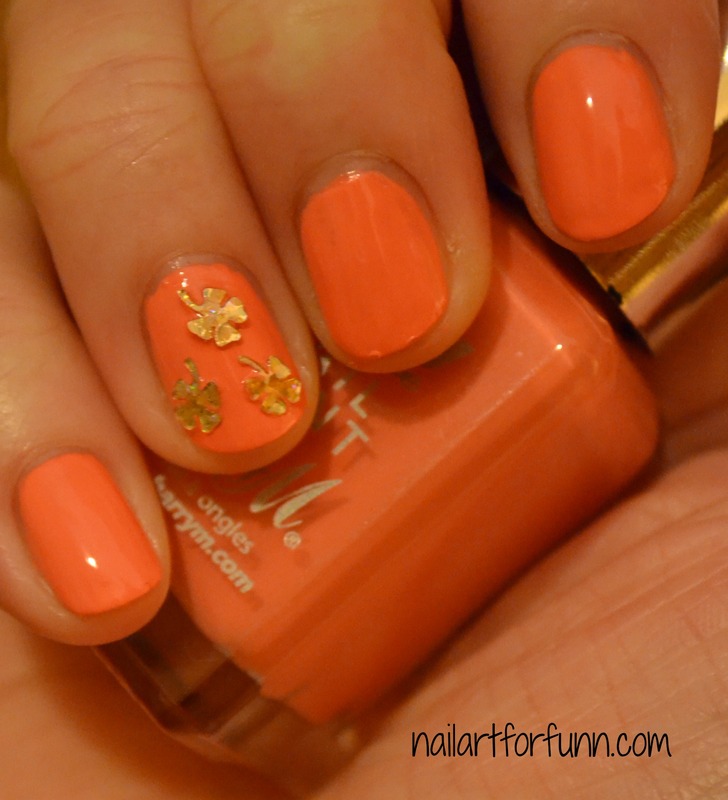 Categories: Nail Art, Nail Art | Tags: Barry M, beauty, coral, cream, manicure, nail art, Papaya, Polish, St. Patrick's Day | Permalink. Guess what? 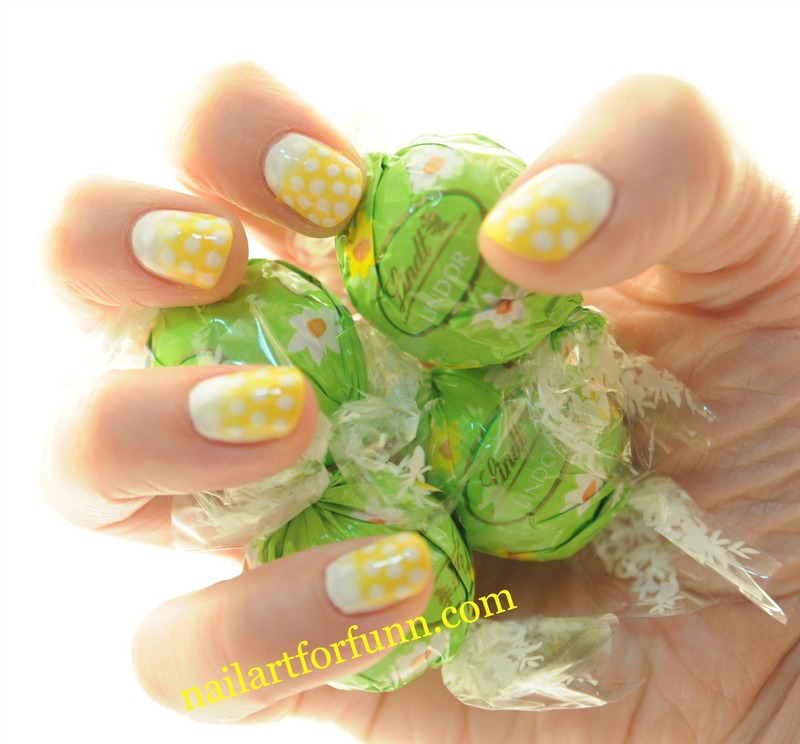 I came second in Mommy Loves Nail Polish‘s nail art competition! I never win anything so this is really great. 🙂 This is the picture that I entered. 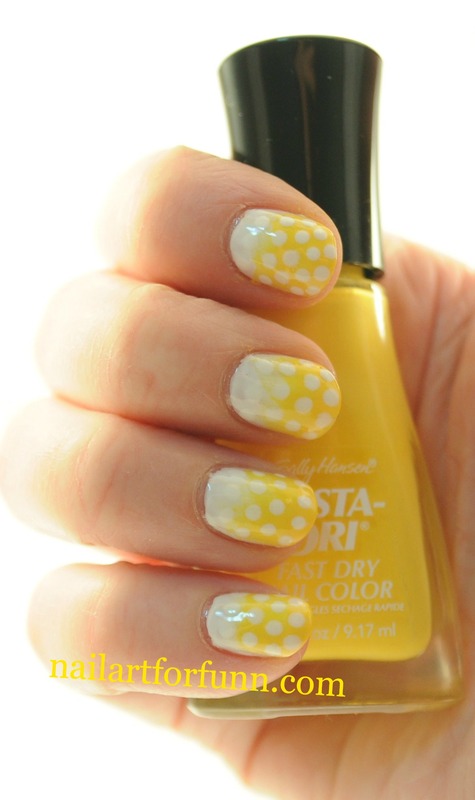 Congrats to the first place Eva from flight of whimsy with her amazing nails! 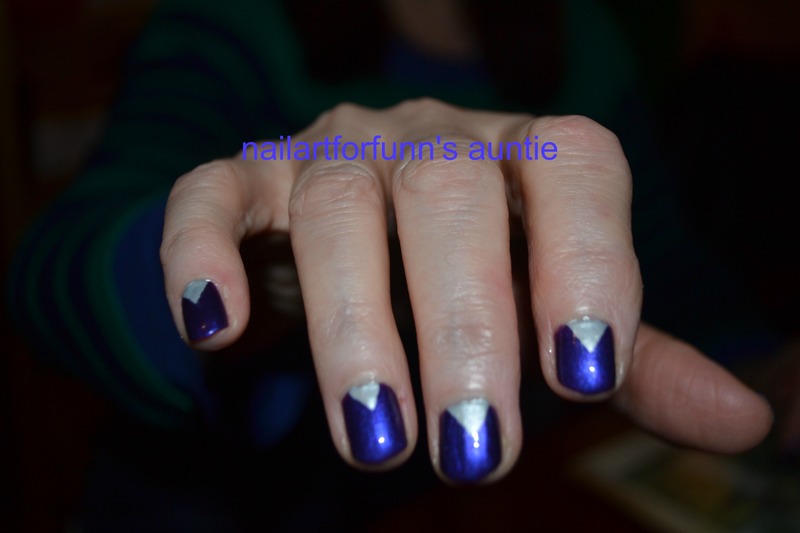 I really love that people like this manicure because it was one of the first that I did. It’s special to me. 🙂 I remember how happy I was when I managed to get it right! Here’s the original post from way back when. 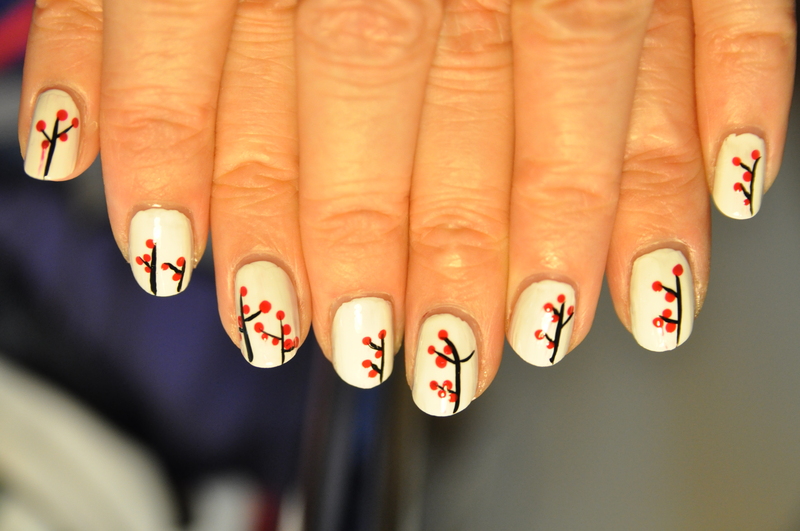 Categories: Nail Art | Tags: beauty, competition, Japanese Cherry Blossoms, manicure, nail art | Permalink. 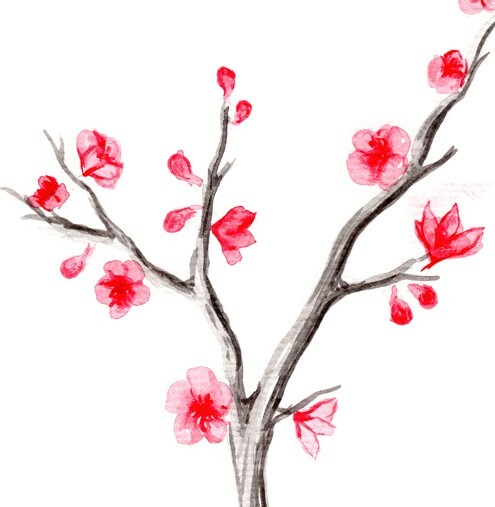 How pretty is this?! It’s bright, sparkly, and really classy at the same time (I think). I love how perky it is. Fit For A Queen required multiple coats. It was really easy to miss bald patches otherwise. I think I used about four or five light layers and a little cover up as well. Worth it though, and it dries really fast. I think that Hologram really adds oomph to this look. However, I was really disappointed at how badly the caviar stayed on my nails. 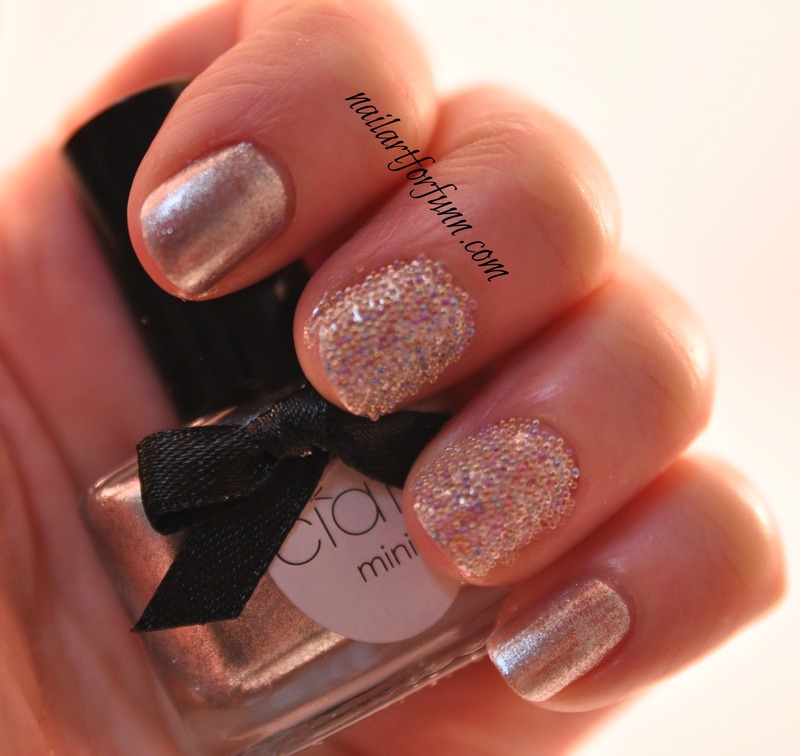 I’ve bought nail caviar online before and it has stayed on for days. Almost immediately after application these beads started falling out. I’m hoping it was just the topcoat that I used. 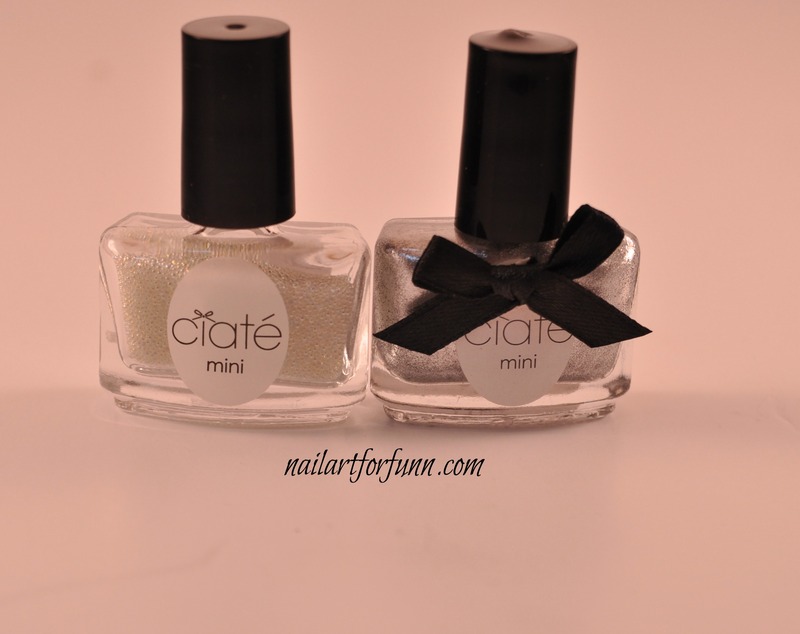 Categories: Glitter, Nail Art, Nail Caviar, Swatches | Tags: Caviar, ciate, fit for a queen, hologram, manicure, nail art | Permalink. 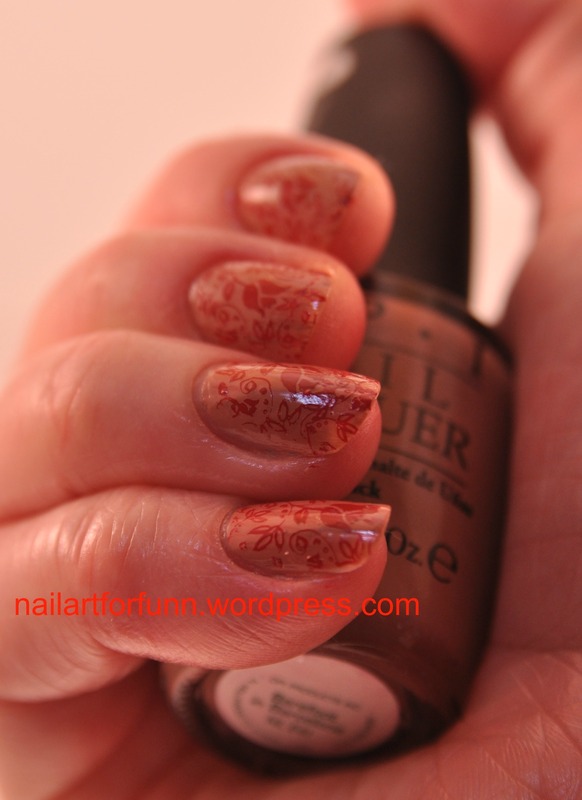 How much do I love stamping manicures? A lot! 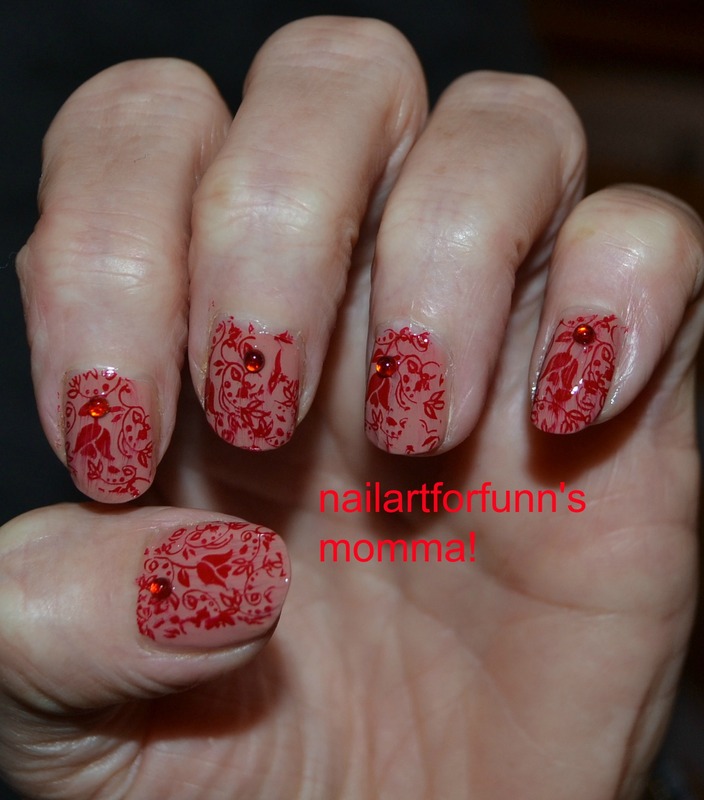 For this manicure I wanted the stamping polish to really pop. 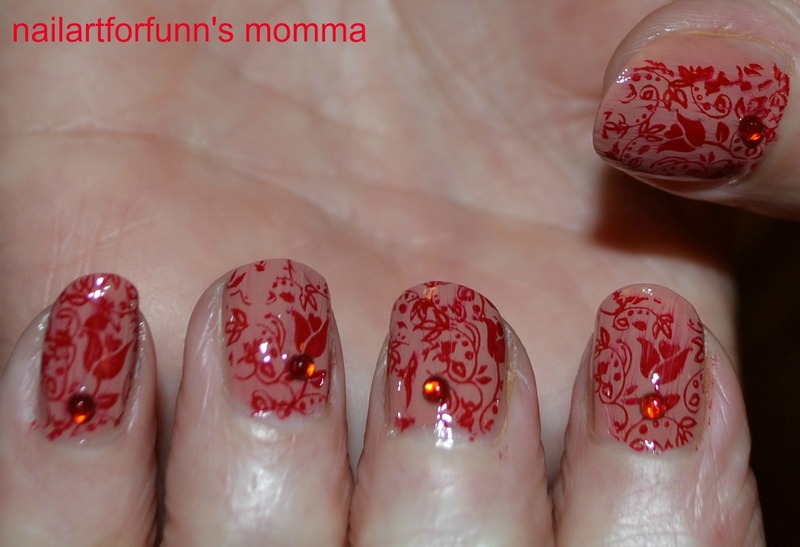 I think Barefoot in Barcelona matched up really well with my red Konad stamping polish. It reminds me of henna art. 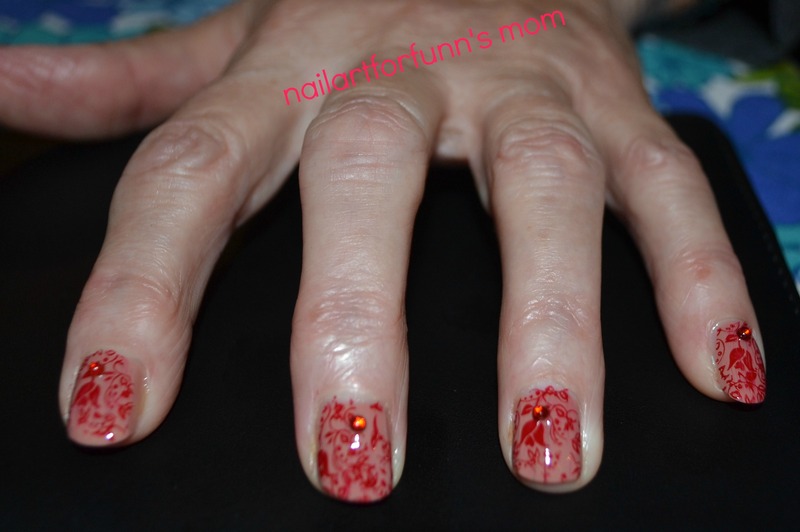 I used Bundle Monster stamping plate BM 306. 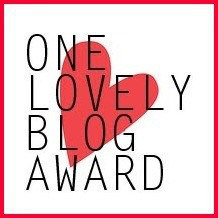 Categories: Nail Art, Stamping | Tags: Barefoot in Barcelona, BM 306, Bundle Monster, Floral, Henna, Konad, manicure, nail art, OPI, plate, pre-spring challenge contest, Stamping polish, style | Permalink. Hey everyone, In the morning I’m flying to the states to meet my in-laws for the first time! I’ll be spending Christmas in Florida! I’m so excited! I really want to make a good impression so I took a lot of care with my nails, I hope you like the results, I hope my future mother in law likes them too! Wish me luck guys! The stamping plate is Bundle Monster BW-319. 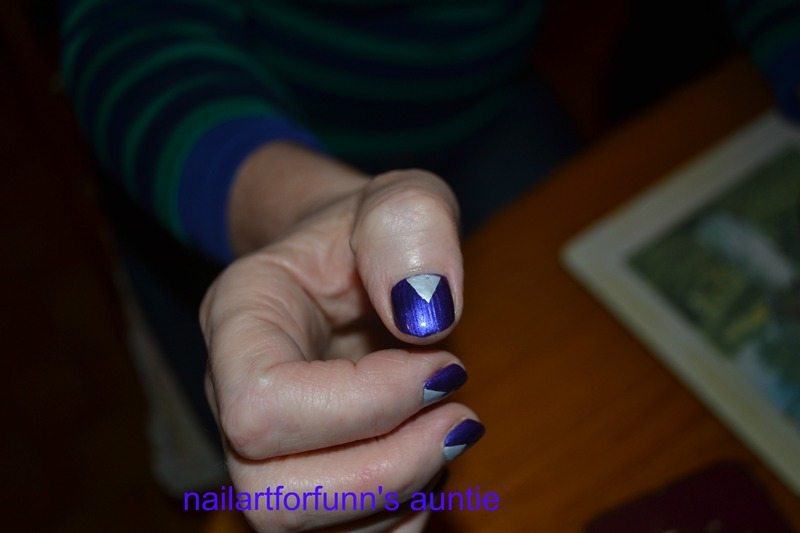 I used Konad white stamping polish and Sally Hanson’s Xtreme Wear Blue It. Categories: Stamping | Tags: beauty, BM-319, Bundle Monster, Florida, In-laws, Konad, manicure, nail art, Sally Hansen, Stamping Manicure, style, United States | Permalink.